This is a great read for anyone who likes to keep up with the research on how brains work, or who likes to understand better how they themselves make decisions. It is extremely readable (and a slim paperback), though there are some passages that made high demands on my ageing mental capacities. I kept shouting ‘yes’ as I progressed, though I found I had stuck post-it notes in at intervals and I didn’t agree with everything, but where would be the fun in a book on this subject that was cut and dried. This is open-ended research, there are many questions still to answer, but there are also many convincing answers to fundamental questions here. 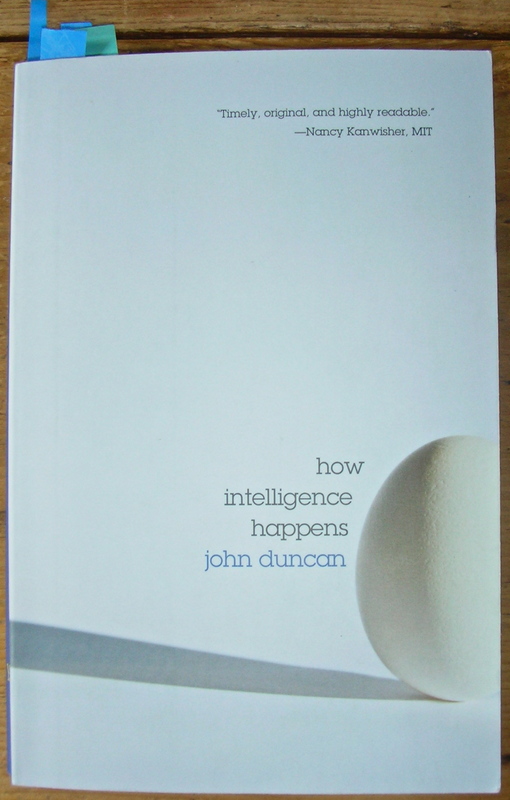 This entry was posted in Reading and tagged brain, Intelligence, IQ, John Duncan, mind, neuropsychology by hilarycustancegreen. Bookmark the permalink.